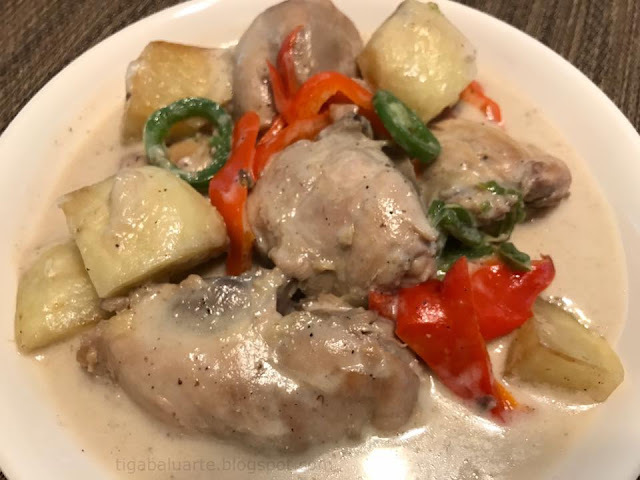 Chicken Halang Halang is a Visayan Spicy Chicken recipe cooked in coconut milk. It is basically a mash up between Chicken Tinola and Ginataang Manok. 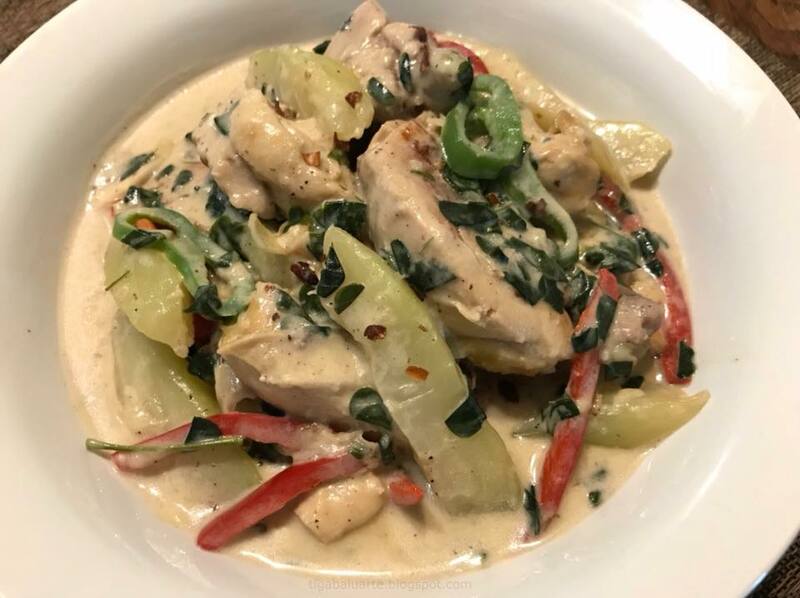 This chicken stew has a rich, creamy and spicy sauce. You can always adjust the amount of chilies you want to use so all depends on your taste. Using a deep pot or a wok, heat in medium heat and add cooking oil. Add onion, garlic, ginger and cook until limp. Add chicken pieces and cook while stirring occasionally until chicken turn medium brown for about 5 to 10 minutes. 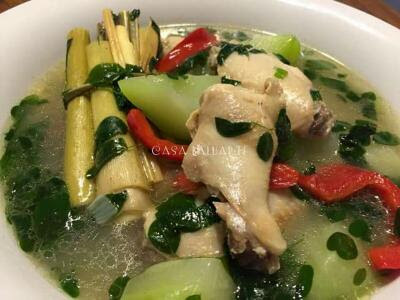 Add lemon grass. Stir and continue cooking for about 5 minutes. Season with fish sauce and ground pepper. Add water or chicken stock and stir. Cook for few minutes. Add coconut milk and chili peppers. Stir, simmer and cover. Continue cooking until chicken is fully cooked and sauce starts to thickens for about 20 minutes. Add papaya and cook until papaya is tender. 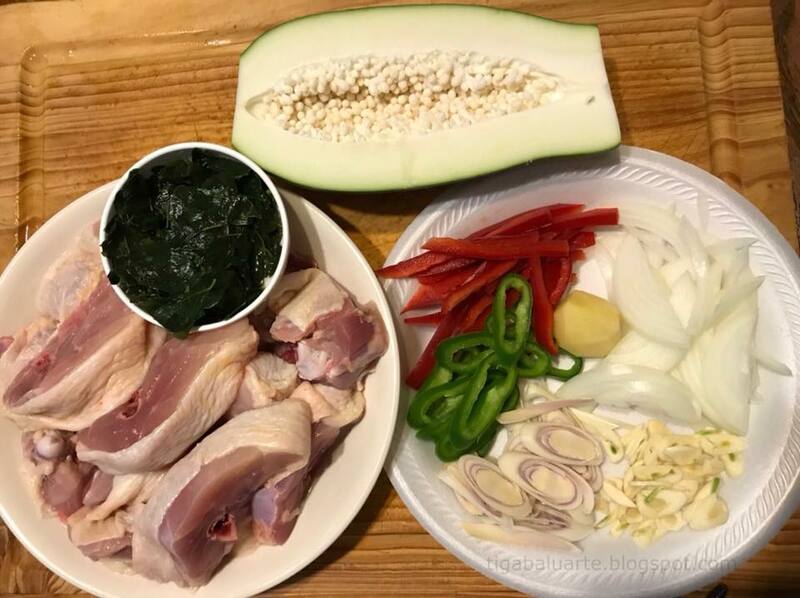 Add malunggay or pepper leaves. Stir and cook for few minutes. Season with more salt if needed.